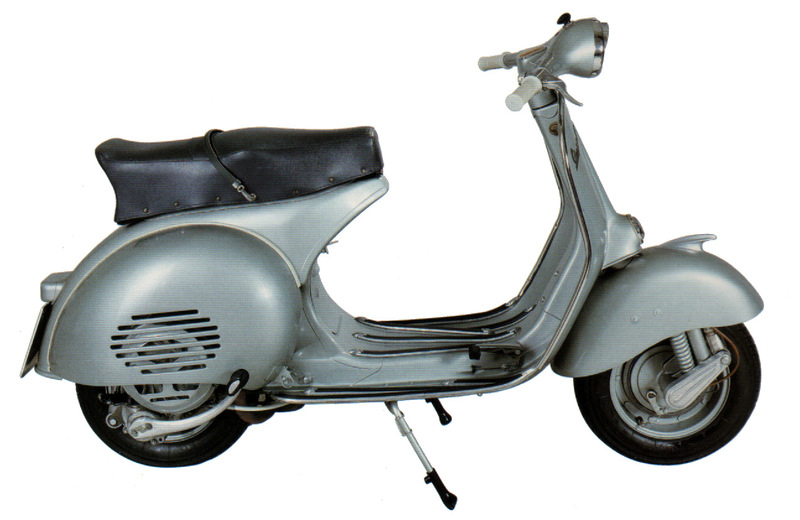 Following on the heels of the Vespa Sei Giorni (6 days), of which only a limited number were produced, the 150 GS was the first standard-produced "sport" version of the Vespa and became a milestone in the history of not just the Vespa but of the motor-scooter in general. 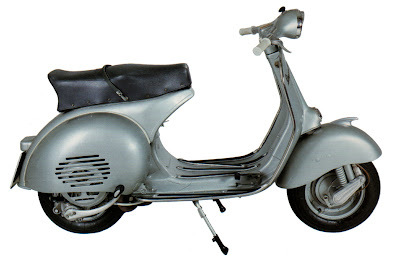 The 150 GS is remembered as being the world’s most beautiful scooter ever produced and is highly sought after by today’s collectors of vintage Vespas. The scooter public had grown up, had changed. The Vespa had become the means of how to stand out in a society which was slowly coming to terms with a new social entity: youth. For the first time, a vehicle born as a quiet way for lots of people to get about suddenly discovered it was capable of breath taking performance. Born from the Piaggio racing team experience, the GS was the first scooter with a 150 cc engine and was highly sporty in concept. It had a direct fuel injection engine generating 8 bhp at 7,500 revs and reached a top speed of 63 mph. It had a four-speed gearbox, and its long saddle and large 10" wheels gave the Vespa line a new, aggressive look. 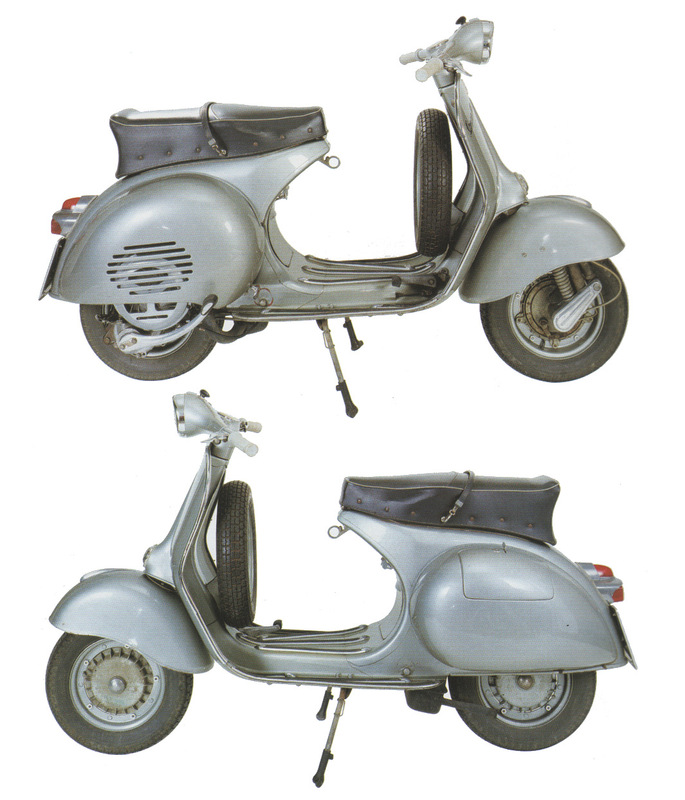 The model shown in the Piaggio Museum is a pre-series.